I really don’t know if much can be said about these brownies. 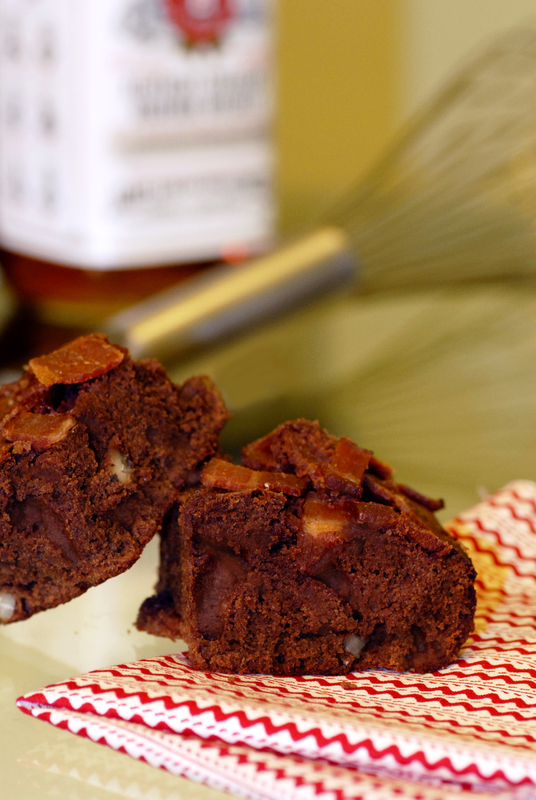 Bacon + Bourbon + Brownies = Mad Deliciousness. They speak for themselves! While I love a good BLT just as much as the next person, I have to admit that I’m not fully on the bacon train that has chugged through the foodie world (and, thankfully, seems to be on its way out), but this just seemed like a no brainer. The brownies are soft and fudgy, the nuts are soaked in bourbon, and the bacon is a great crunchy contrast to the brownie texture. I’ll be spending my weekend at the Hicksville Trailer Park Palace (really) for my good friend’s birthday and I think these fit the bill exactly for properly themed food. That said, these will be great for any sort of ‘manly’ event, too–bourbon and bacon makes any fancy dessert more Y-chromosome friendly! 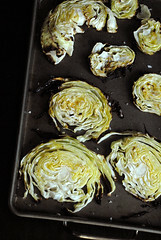 Place an oven rack in lower-middle position and preheat the oven to 400° F. Line an 8-inch square baking dish with foil and spray lightly with nonstick cooking spray; set aside, line a rimmed baking sheet with foil. Set pecans in a small bowl and cover with bourbon, about 1/4 cup, set aside to soak. Arrange the bacon on the tin-foiled covered rimmed baking sheet and pop into the oven at 400 degrees for about 20 minutes or until golden brown. 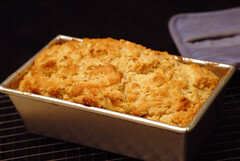 When you take it out of the oven, transfer it to a plate lined with 3 or 4 layers of paper towels and blot dry. The bacon will turn crispy as it cools. Stack the bacon and slice into 1/4″ wide slices. In a medium bowl, combine the eggs, sugar, vanilla and salt; whisk until combined, about 15 seconds. Whisk in the warm chocolate mixture until incorporated. Add the flour, 1/2 cup at a time, mixing in gently. 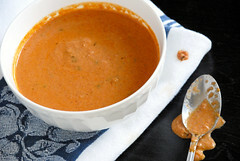 Spoon the nuts out of the bourbon and fold nuts into batter (save bourbon for later). Pour the mixture into the prepared pan and spread with a spatula to make an even layer; sprinkle bacon slices evenly all over the top of the brownie batter. Bake until slightly puffed and a toothpick inserted in the center comes out with a small amount of sticky crumbs clinging to it, 35-40 minutes. Pour reserved bourbon evenly over the top of the hot brownies. It will soak into the brownies and spread deliciousness all over. Transfer the pan to a wire rack and let cool to room temperature, about 2 hours. DIG IN!